Monday was another impressive session that began slowly. It built up a head of steam, and major indices all closed near session highs. Technology led the way, followed by Industrial names. The third best sector was Communication Services, which rallied ahead of Alphabet’s (GOOGL) results after the bell. The market is marking time, looking for further developments on China trade and the shutdown showdown. The good news is the directional bias has shifted to the upside with enough oomph to turn ho-hum sessions into strong sessions. Q. Does Pichai’s vision of what the company can achieve inspire them? Q. Is Pichai the right person to lead the company into the future? Q. Will Google staff respondents be with the company one year from now? During WWII, the United States government approached Howard Hughes to help with the problem of a cargo plane large enough to transport large quantities of soldiers and supplies. Five years later, Howard Hughes came up with the Hughes H-4 Hercules, otherwise known as the Spruce Goose, for all the trees cut down to complete its wooden framework. On November 2, 1947, the plane made its first and only flight attempt. 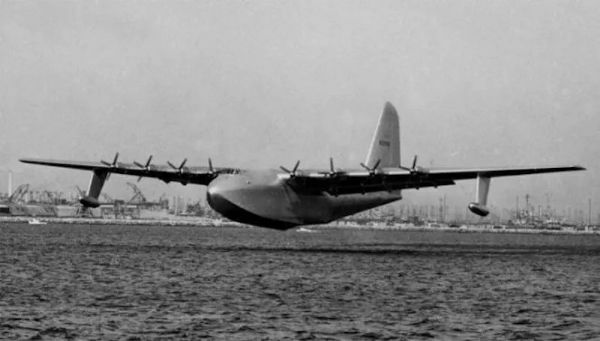 After traveling one mile, the Spruce Goose was grounded. Between higher headcounts, investments in content, and technology, infrastructure costs are going higher and this time around, the Street isn’t too happy. It’s somewhat ironic, especially when it comes to Amazon (AMZN), but also Netflix (NFLX) and others, where the Street cheered eyeballs and big spending. I think the spending is smart investing amid greater competition. Soon, it could lead to a wild-wild west phase of big-ticket takeovers. These companies are sitting on billions of dollars. They are simply buying back stock, which isn’t going to be enough to get the shares airborne and flying as they once did. The Dow Jones Industrial Average and S&P 500 has been edging higher all morning shrugging off weakness in the NASDAQ. An early beat this morning from Estee Lauder (EL) was driven more from business outside the United States. Management offered robust guidance with a nod to issues that have dominated financial headlines but haven’t had the worst-case impact on the economy or corporate profits. I think investors should treat the headline risk that are promoted breathlessly the way they’ve always treated the full-page of risk that come with all financial releases. The Company continues to see strong consumer demand for its high-quality products and expects to continue to deliver growth at the high end of its long-term net sales and earnings per share growth targets. We continue to expect global prestige beauty to grow 5% to 6% during the fiscal year. The Company expects to grow ahead of the industry. However, the Company is mindful of risks related to social and political issues, including the government shutdown in the United States, geopolitical tensions, regulatory matters, global security issues, currency volatility and economic challenges that could affect consumer spending in certain countries and travel corridors.